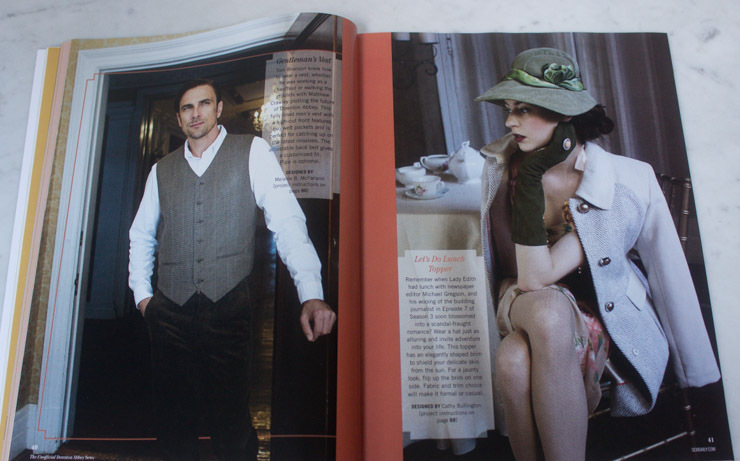 Andover has created a line of Downton Abbey fabrics, and now Interweave, owned by F&W, has produced The Unofficial Downton Abbey Sews, which is a magazine chock full of modern versions of Downton Abbey fashions, accessories, and home dec items. Most of the patterns are available through free downloadable PDFs. I haven’t had a chance to make any of them up yet, but I have definitely been drooling over some of the designs. I wonder if I could get my husband to wear that vest? Very Tom Branson, eh? I have no flapper vibe, but I still think this is stinkin’ cute. 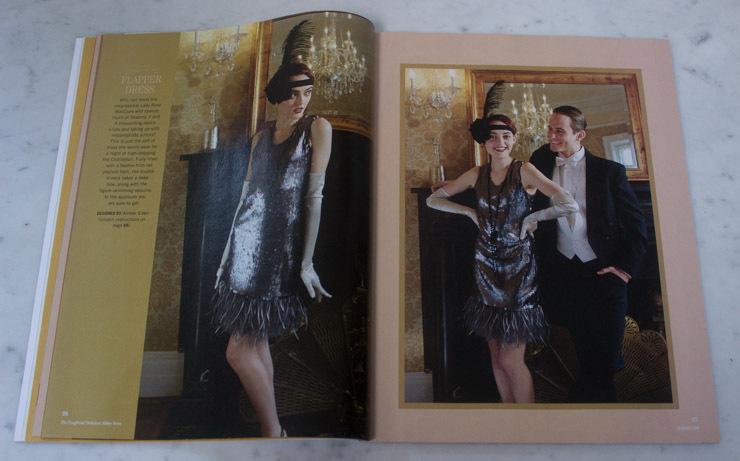 I would totally wear it if I were in my roaring’ 20’s! Both of these designs are totally wearable, don’t you think? SOOOO smart! Love the blazer and double-heart the jeans. Look at those front pocket zips; smashing, right? 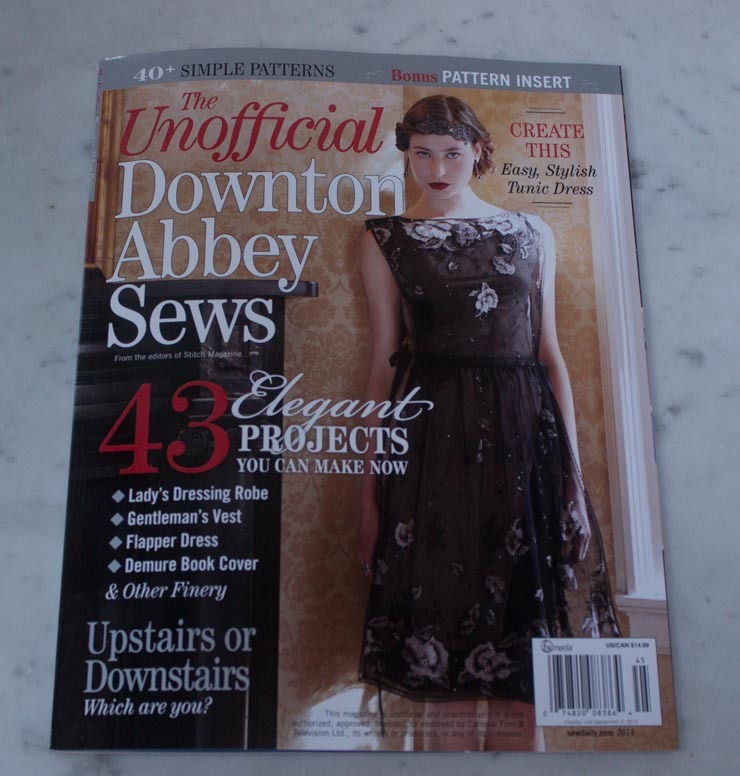 Now the kindly folks at F & W Media sent me an extra copy of The Unofficial Downton Abbey Sews magazine, and I am dying to give it to YOU! Leave me a comment about your favorite outfit and why you love it, and I will send you this magazine quick as can be. You have until July 11 to leave a comment (include your email please!! ), and sorry, but U.S. shipping only. In case you are not the lucky winner, you can also purchase the magazine online too! A few weeks back I was asked if I would be interested in reviewing the first-ever U.S. edition of BurdaStyle on my blog. 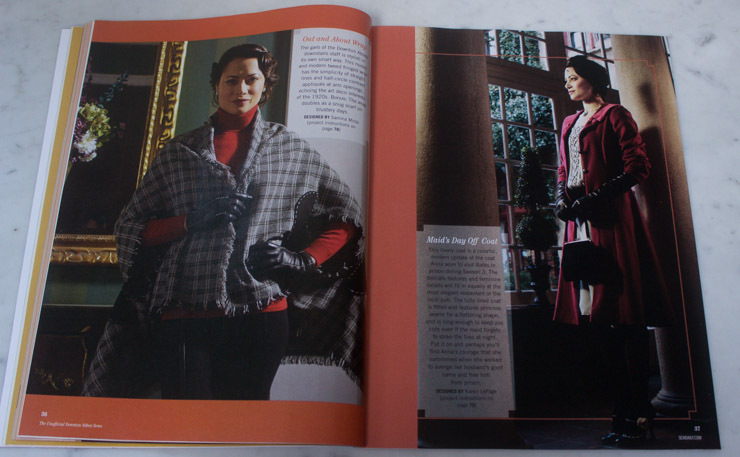 Years ago I sewed extensively with Burda patterns and even subscribed to the English version of Burda magazine, but for no particular reason I drifted away. Reviewing their flagship edition seemed like a good way to jump back in! You only get one chance to make a first impression. The gold, black, silver and white color combination used on the cover was modern, glam, and definitely festive. Fashion. I love this section! I am a garment sewist. I don’t give 2 hoots for quilting, and only sew home dec items under duress. There were 6 articles listed in this category, tho Star Studded hardly qualifies as an article. More like a teaser. No instructions, just an image and a short paragraph short on details. I can definitely see the younger crowd going for the look, and not being stumped by the lack of specifics. Candy Coated featured six patterns sewn in eye-popping colors; all of which are included in the pattern pull-out section. 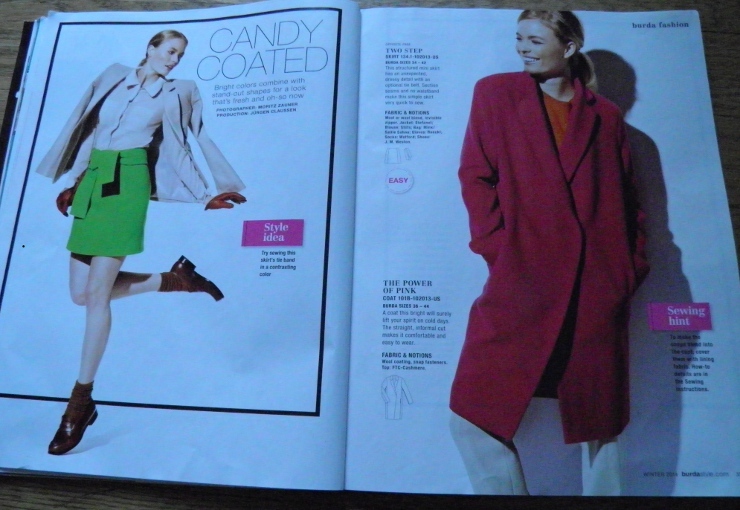 The selection ranged from an easy skirt to a more complex jacket and trouser duo, and also included a dress, skirt + peplum top, coat, and cape. I thought all the garments were wearable and stylish, and the skirt and peplum top just might get added to my wardrobe. The Art of Great Style showcases 7 different ensembles in plus sizes. All of the garments were styled in black and white, and looked attractive and modern. My favorite was a really pretty wraparound pencil skirt. Legends of the Fall featured South American-inspired garments. The ethnic look is not really my style, but the inverted pleat dress was adorable and depending on fabric used could have a wide range of looks. The Modern Sophisticate was just that. Edgy. Urban. Modern. Sculptural. I want every one. Showstopper was disappointing. I thought the design lines of most of the garments were, frankly, dowdy and seemed oversized. Shine On was a fun article because it featured one of the garments (a silver sequined mini skirt) from Showstopper, and styled it in 3 different ways. The selection of accessories was fun and fresh. DIY Trends and Styling. Beauty. Umm, a little superfluous to my mind. The rest of the articles are categorized as “runway DIY”, and I like seeing how the over-the-top runway looks can be incorporated into something actually wearable on a real person living a real life. Graphic Lines was a really fun little tutorial about painting bold graphic stripes on a metallic skirt. I can TOTALLY see my daughters doing this! Again, I can envision lots of young women I know DIY’ing Knit Necks onto T-shirts, but that is not a project I am going to take on. However, I loved getting some inspiration for using feathers in the Bold Plumes tutorial. Not sure how/when I might use it, but I still liked it. 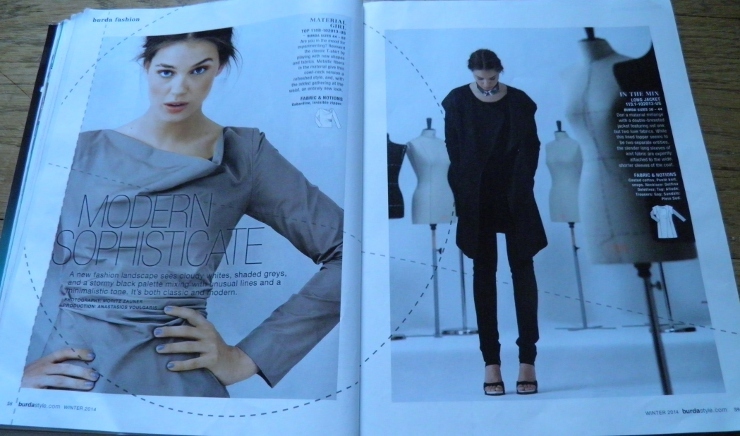 The Cinched Waist project was a quick method of adding some shaping to a RTW garment, which was not that useful to me. Duh. Because I SEW the shape I want into my garments and hardly ever buy RTW. 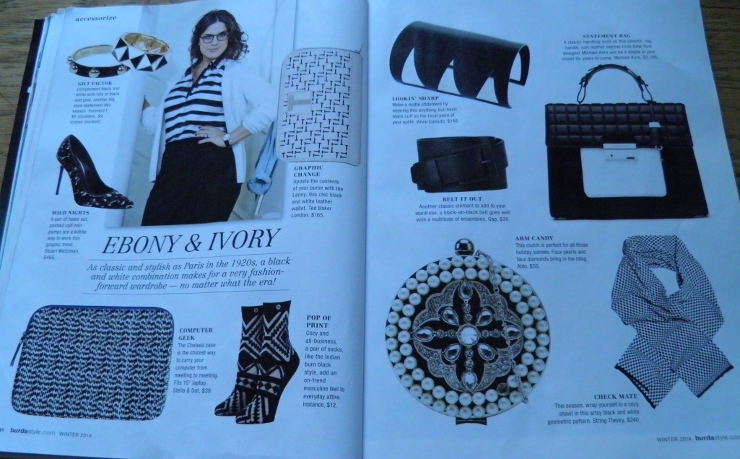 Ebony and Ivory and Easy Rider were accessories/styling pages, and the faux pearls and diamond clutch by Aldo has to go on my Christmas list. I really love seeing these kinds of articles – fun eye candy! In Every Issue. Denise Wild of The Sewing Studio New York and LoveSewing.com is the the editor of BurdaStyle, and bubbles with enthusiasm for her role as Editorial Director for BurdaStyle. (Hmmm, maybe we should hear more from her!) BurdaStyle.com is just a little blurb encouraging us all to go online. Like any of us needed encouragement for more screen time. 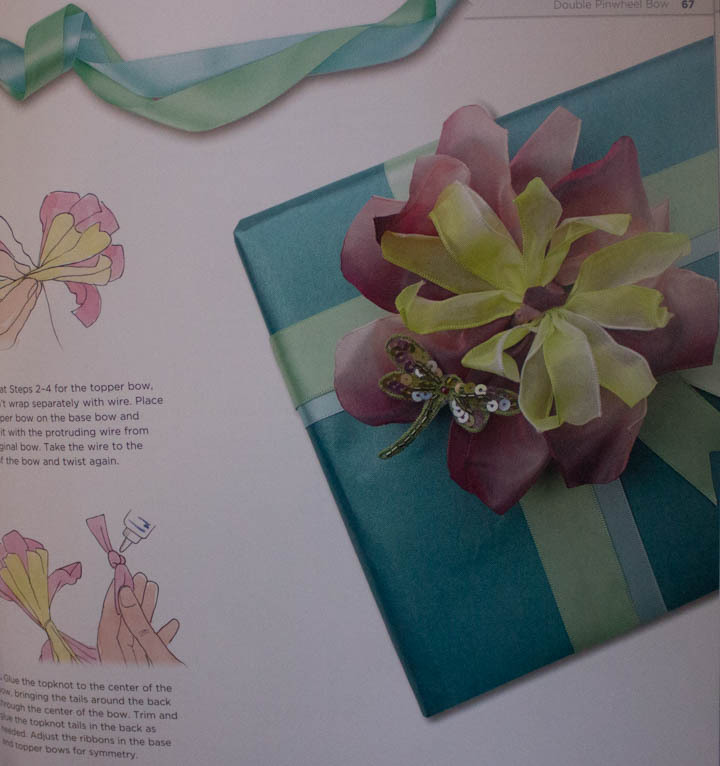 I enjoyed reading tips from BurdaStyle.com members about making buttonholes. Maybe I will try using perle cotton one of these days! 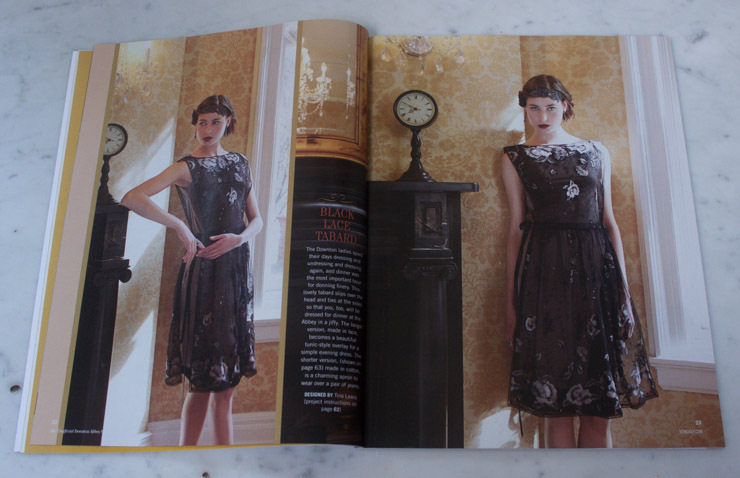 I loved, loved, loved the vintage re-work featured in the Timeless article. Channeling Jackie O! Sewing. The latest sewing products are supposed to be featured in New & Now, so I would like to see products people who sew would actually want to use to make sewing easier/faster/more fun. A beaded sequined flower? Really? 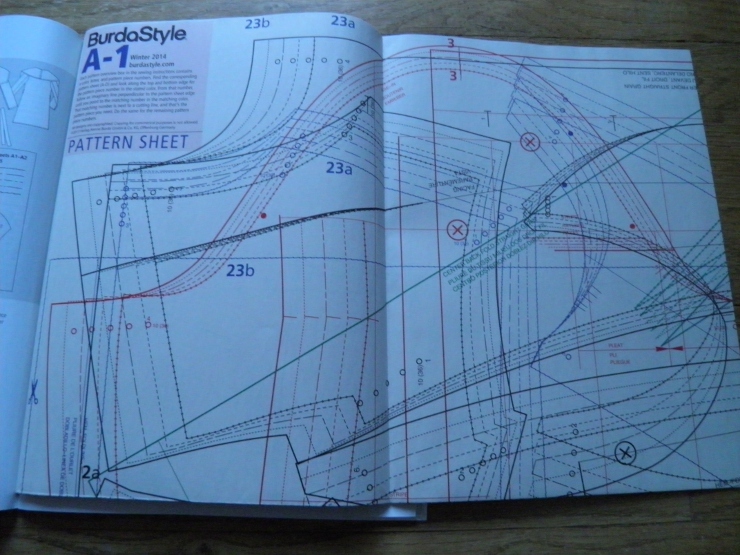 Burda Patterns gives you the low-down on how to work with Burda patterns. Duh. Machine Master featured working with sergers – and since most of us overlock seams and roll a hem now and again this kind of info is always useful. My general take on this section is, meh, not too much compelling here for an advanced sewist. Pattern section. The guts of the magazine are the pull-out patterns. Lots of intersecting lines on these babies, but color and line style changes help to distinguish one from another. At least I hope they do, and they did when I used to trace them years ago. As of this writing I haven’t stitched anything up, but now that my sewing room is finally cleaned up and re-organized I want to give a few of the designs a try. 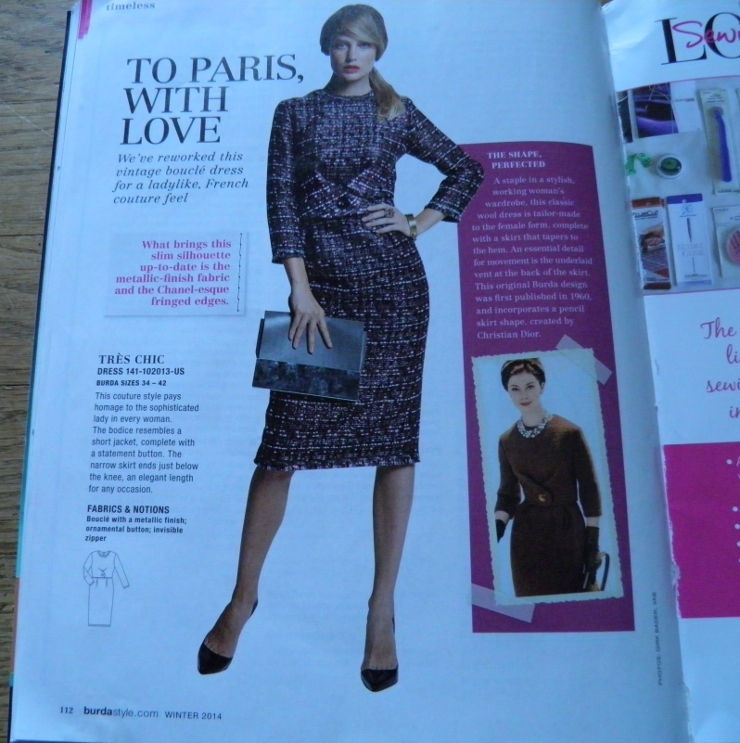 Lots of people rave about the Burda fit, so it will be interesting to see how they work for my body type now. 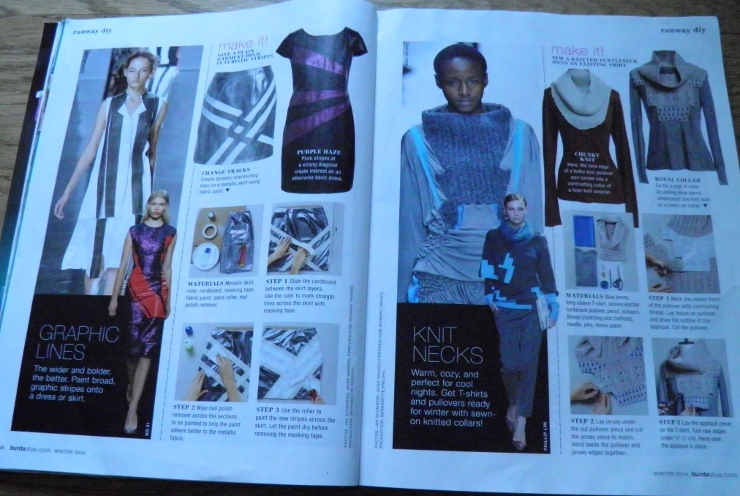 The main thing I think is unique about the magazine is that it offers patterns for designs that I see in RTW, but not in the pattern catalogs. One of the things that is still true is the “40 full size patterns included” claim on the cover is a stretch IMHO, as some patterns are merely length variations of others. While technically true, you are not really getting 40 unique full-size patterns. But if you consider the prize of patterns, still a bargain. It’s also true that some (all?) 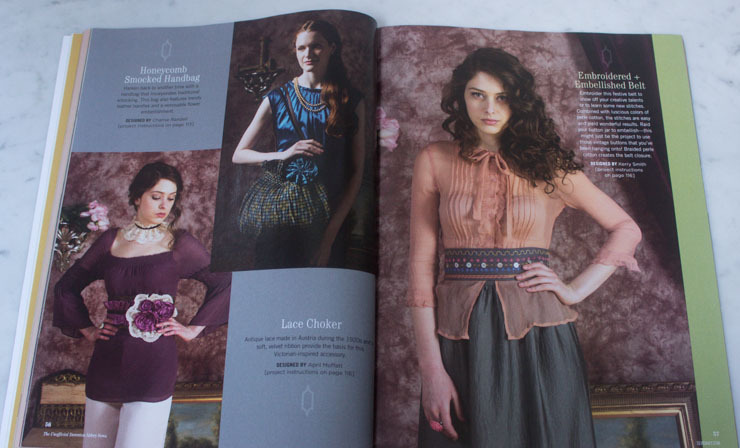 of the patterns included in the magazine are downloadable on BurdaStyle.com. 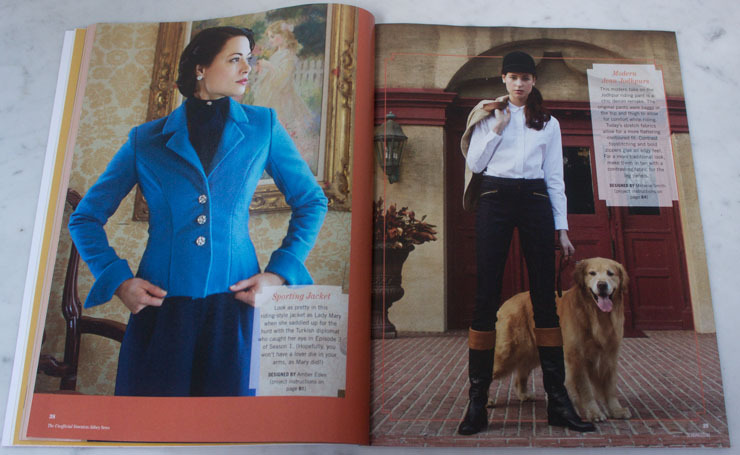 All of the patterns included in Vogue Patterns magazine are included in their catalog, too. 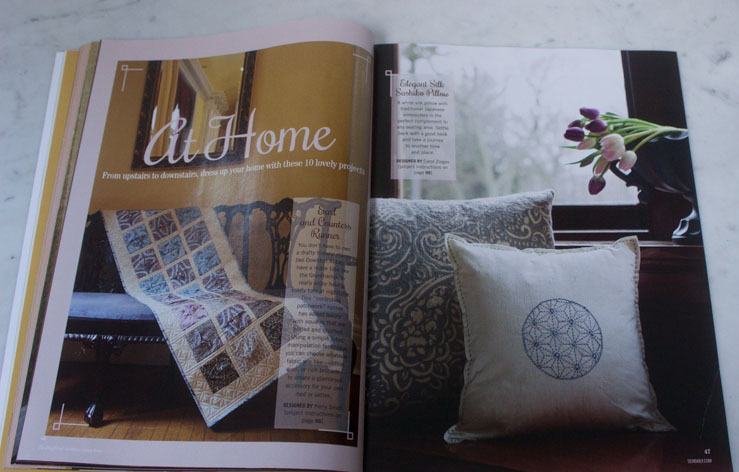 If you prefer full-size patterns to printing out a million sheets of paper on your home printer that then must be taped together, the magazine is a big bargain. I really enjoyed the magazine and likely will subscribe. BurdaStyle definitely is not going to add anything to my sewing skills, but it could step up my style quotient. 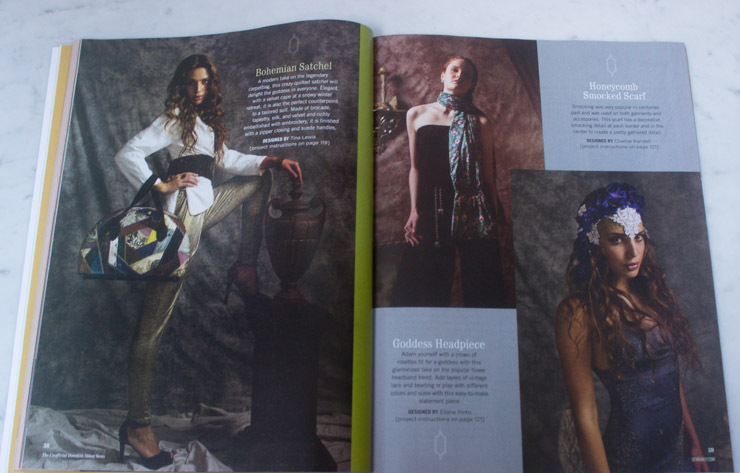 If you are looking for a magazine with an emphasis on fashionable, unique full-size garment patterns with interesting styling tips, BurdaStyle has something for you. 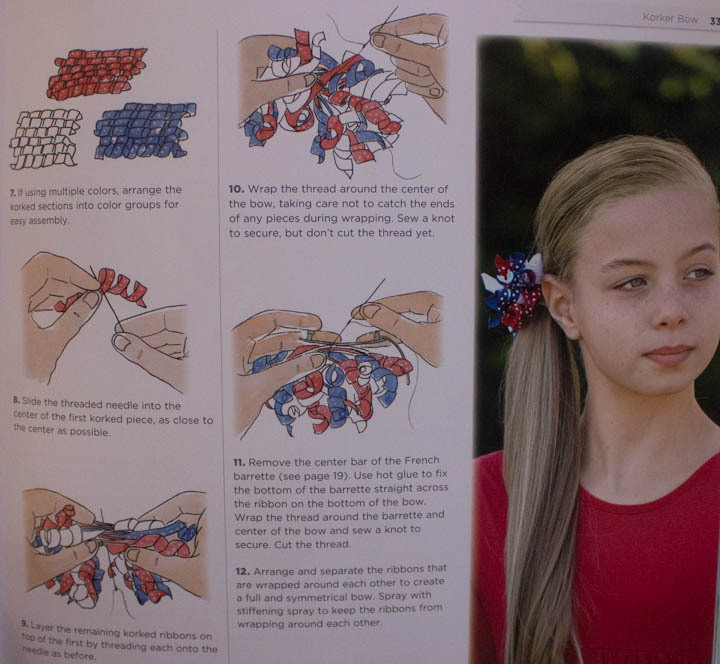 However, if you want a magazine focused on sewing techniques, read Threads. Different audiences, different missions. 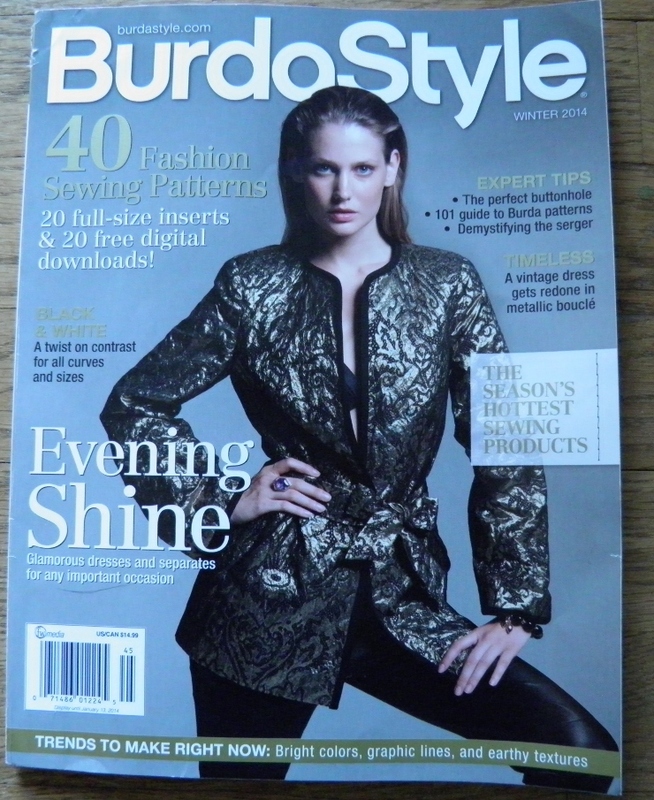 I for one am glad to see a sewing magazine like BurdaStyle available to the U.S. market, and think it fills a hole in the marketplace. If you are interested, you can also download a digital version of BurdaStyle US and save a tree! Aack! How did I miss it? OK, my bad. I missed reviewing McCall’s summer sewing patterns. But since I live in the PNW and we only have 15 minutes of real summer weather I can be forgiven for that oversight. However, missing Diana Rupp’s first pattern for McCall’s in the summer collection is definitely a venal sin, if not a mortal one. Aaack! Please forgive me, Diana! Look how adorable this sundress is. This pattern is offered in the street length shown here, as well as a maxi length and a tunic top. And lucky for you the pattern is rated as easy, so even if you live in climate with a minimal no summer you can still complete this cutie and enjoy it. So what are you waiting for? Just do it! 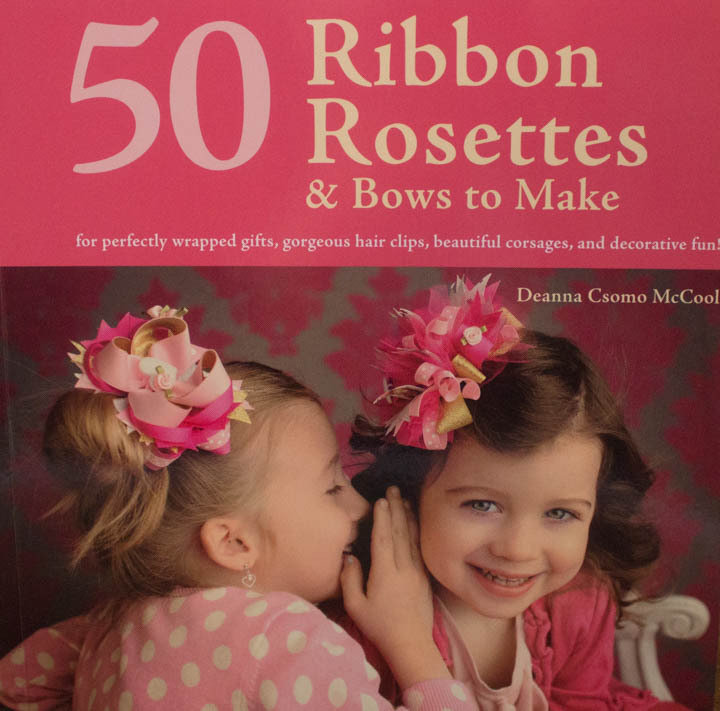 If you want more from Diana, be sure to check out her awesome book, S.E.W. Sew Everything Workshop. I reviewed this book last June, and gave it the 2 thumbs up for beginning students. If you already own S.E.W, I’d love to hear your thoughts about this sewing resource. I hope we see more of you in the months to come, Diana, and happy sewing! Are you a Claire Schaeffer fan? I am. She knows how to lay down some pretty awesome instructions for complex sewing tasks. I own and regularly read her original Couture Sewing Techniques , so I was definitely intrigued by Couture Sewing Techniques, Revised and Updated , published in May of this year. I think both of Claire’s books are superb references. I think either would be a great addition to many sewing libraries. Either, but not both. Do you own one of Claire’s books? What do you think? How often do you use it? disclaimer: this post contains affiliate links that earn commissions for Sew Maris. I do not think THE perfect sewing book exists. 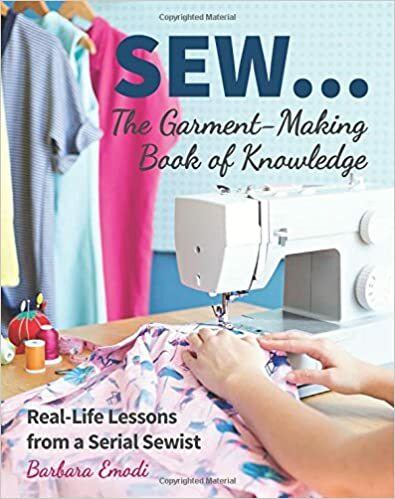 Maybe that is my justification for owning so many reference books about sewing, but there are so many different levels of sewing ability and so many topics to cover that the one perfect book seems to be elusive. 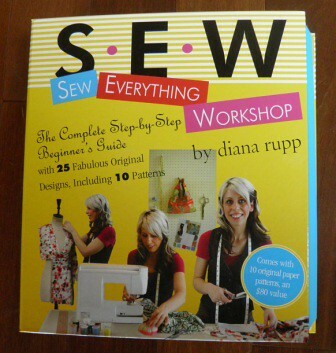 That said, there are lots of great sewing books, and I think Sew Everything Workshop: The Complete Step-by-Step Beginner’s Guide with 25 Fabulous Original Designs, Including 10 Patterns , by Diana Rupp is one of them. 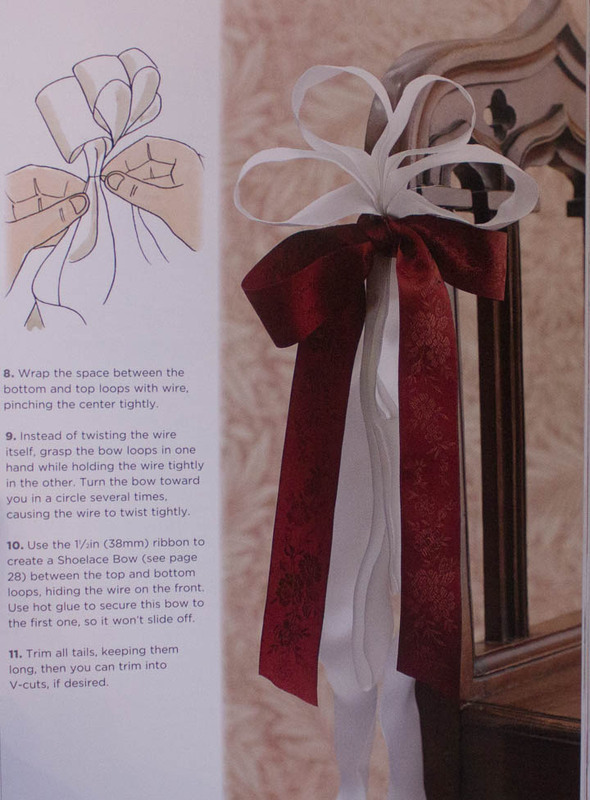 If you are a beginning sewist I would suggest you take a look at this book. I think it might also be a good reference for someone who is beyond the absolute beginner stage, but has not had many classes or much training and still has lots of questions. Lots of good prep material before you even sit down at the sewing machine. Chapter 1 is Gearing Up, and covers organizing a sewing space, assembling a tool kit, and shopping for a sewing machine. I particularly like her comment on page 19 regarding the right kind of machine for basic sewing, “You need something as solid straightforward, and plastic free as you are“. Hits a nerve with me – plastic in sewing machines is evil. Great pictures, and lots of them. The “tip” callouts are actually useful tips, and generally next to a picture of a technique. For example, on page 37 she includes her “Curve Tip: Pssst! You’ll get much better results if you move the needle up and down with the flywheel when things get tricky. It gives you more control than if you use the foot pedal alone.” Nicely done. I always tell my students they could sew an entire garment turning the flywheel by hand. Slowly and tediously, but still….! I love her Ten Fabric Commandments on page 65. “1. Only buy fabric you love.” Right on. In Chapter 4, Laying and Cutting Out, she does a great job of covering the basic information included in commercial patterns. This is something every beginning sewist struggles with, and I think Diana’s coverage of this topic is particularly informative. I love, love, love the way the projects are presented. On the first page of every project she lists the difficulty level, materials, tools, amount of yardage needed, techniques that will be employed AND where each one is defined (sweet!! ), the seam allowance used, and the pattern pieces needed. GREAT overview of the project clearly outlined right up front. Seriously – this alone makes the book worth the purchase price. I think a glossary of sewing terms in one concise location would be helpful. She does define a lot of terms, but they are sprinkled throughout the book (and indexed so you CAN find them), I just like central glossaries. Not enough fitting information. Many (most?) people who attempt garment sewing are frustrated with how their completed garments fit. I get that it is a whole topic worthy of a separate book, but she skimped too much in this area. I would not have included some of the “fashion garments” (i.e. the Girly Go-To Dress) in the projects section. IMHO, there are much better designed dresses available commercially, and WAY too many figure variations on real bodies to get much real success with this kind of project in a book for beginners. See #2 above. 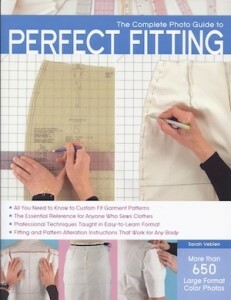 Overall, this book is WELL worth the price and would be a good addition to most home sewing libraries. If you own it or have used it, I’d love to hear what YOU think. Post a comment and let me know!